New applicants must submit several items along with their application form. 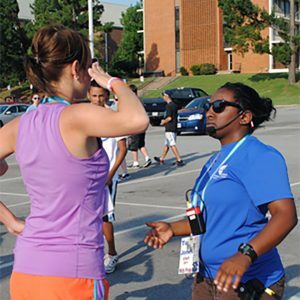 Prior attendance at a DMA location as a student is preferred but not required. It’s the typical “tell us about yourself!” form. And it can be found right here. This letter must come from your most recent band director. Please ask them to describe in detail your skills as a musician and leader within their ensemble. 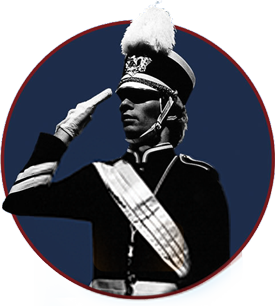 All letters of reference must be submitted electronically to impact@drummajor.org and come from the director’s email account. Your video will contain 3 different components: conducting tempos, conducting the National Anthem, and a brief bio. Either use a metronome or an existing piece of music MUST be clearly audible in your video. Please include a 30-second clip telling us why you want to be part of the DMA IMPACT Team. Upload your video and set the video privacy status to UNLISTED. Set your camera so that it shows the top half of your body. Record yourself a few times, and choose the best take!